It's been 20 years since Lloydetta Quaicoe first came up with the idea for Sharing our Cultures, and the streets of Newfoundland and Labrador don't look the same as they once did. "We've become more culturally diverse," she said in an interview with CBC Radio's St. John's Morning Show on Friday. "I know when we first started we only had a few cultures but now we've got the students from Syria, from Iraq." Each March, high school students descend on The Rooms in St. John's to set up displays from their home countries and share their heritage with others. Quaicoe was inspired to create the showcase in 1999 after she conducted a study on the needs of immigrant and refugee schoolchildren and grew concerned with the results. "During the interviews with the children I found out that a number of them … they couldn't report people who did things or say wrong things to them to their teacher," said Quaicoe. "A number of them were called names. There was a lot of anti-black racism that they reported." Many of those students, she said, were struggling to adapt to environments where the majority of their white classmates had no sense of where they came from or what they'd been through. 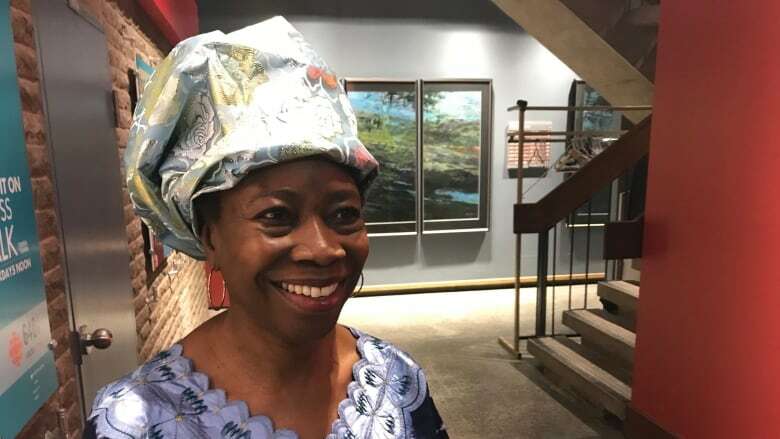 Her solution was to create an event where young newcomers to the province could celebrate their roots and help educate some of their peers about the importance of tolerance and diversity. "Prior to Sharing Our Cultures being established, they had no opportunity really to share who they were, to share their own identity," said Quaicoe. Over the past two decades, thousands of students have attended the event, and this year was no exception. "To know that people are going to come from around the province to listen to them ... it gives them such a sense of confidence, a sense of pride, a sense of feeling welcomed in their community," she said. For the first time this year celebrations also took place at schools in Labrador City, Happy Valley-Goose Bay, Corner Brook and Grand Falls-Windsor. It's an expansion of Sharing Our Cultures's mandate to foster acceptance and tolerance regardless of differences in cultural backgrounds. "Sometimes people see other people that are different from them and there's certain apprehension or fear or sometimes they have their myths or stereotypes around that that they've either heard when they were younger or heard from their friends," said Quaicoe. "But by coming together and actually interacting with someone from that culture it helps them see … we're more the same than we're different." The event concluded on Friday.